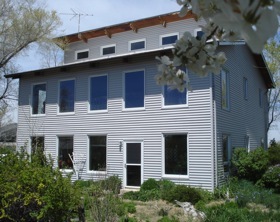 It is stunning to see the transformation from an old farm house to a modern, efficient passive solar house. 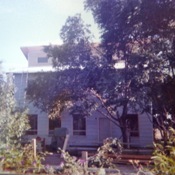 The original house measured at approximately 700 square feet and was built in 1909. 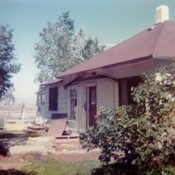 In the process of converting the house, they first took off the front porch and readied the area to pour a slab. They added a brick wall for thermal mass and poured a slab of concrete for even more thermal mass. 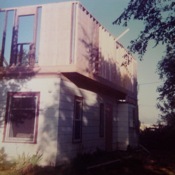 They tore the roof off the house and built a window wall onto the existing house that faces to the south. 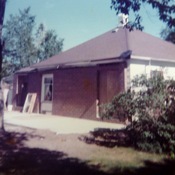 The back north facing wall was insulated, with insulation blown into the cavities of the house. 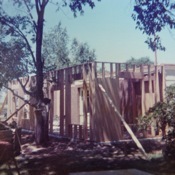 A second story was added to the whole structure. 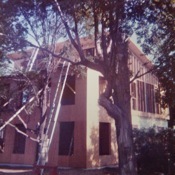 Siding was added to protect the outside of the structure. Amazingly, this transformation happened in 1 month. The owner-builder was a teacher and completed this portion with the help of the shop teacher and three others. The remainder of the finish work was completed over 2 years. 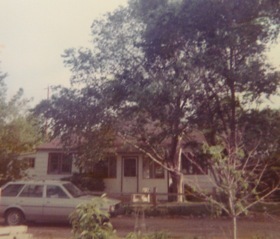 The house at it currently is today. The house is an efficient passive solar house, enjoyed by its occupant-builders. This is part 1 of a 2 part series. 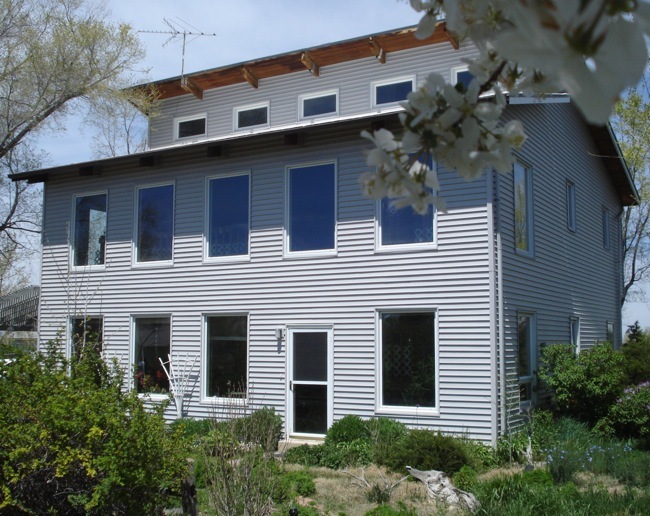 In part 2 we tour the inside the passive solar house to see its cool features.